I’ve often wondered what the point of Formula One was. All those little jumped-up buggies going round and round and round in circles occasionally killing people. A lot of brain-power, money and petrol goes into making those pieces of metal go faster and faster. Anyway, they have finally put some of that bleeding-edge technology to good use by putting a Ferrari engine in a hairdryer. In the new Conair BaByliss Pro Volare to be precise. 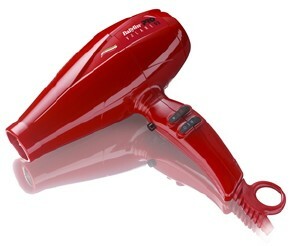 The new hairdryer is the world’s first professional luxury hair dryer driven by a Ferrari engine. The dryer has been constructed out of Ferrari engine parts to maximize its airflow for fast drying. At a cost of around $400 though, it’s really only one for the professionals. Or people who just really like Ferrari-branded personal grooming products. I've been using the Panasonic hair dryer for my hair treatment all day long and I have no complain from using it for it has a very durable designs and it last for so very long uses. Wow! It's some kind of awesome hair dryer that came from a high class Ferrari engine that is exclusively made just for this hair dryer type. I think it will last for a long period of time suing this hair tool. That’s gona be one powerful hairdryer! Ferrari engine is Useful after all and can put their unique engineering in any thing.